$299 Seen a lower price? 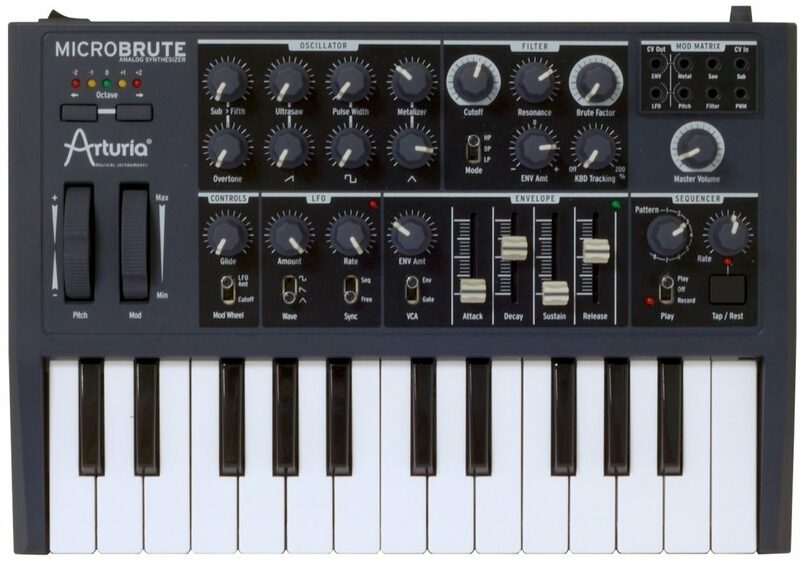 The Arturia MicroBrute is the tiny analog synth with vast possibilities. 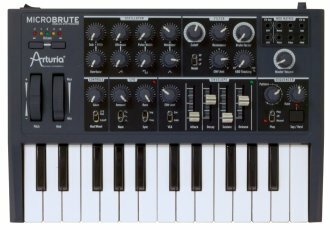 Based on the award-winning designs of its brother, the MiniBrute, the MicroBrute puts all the essential building blocks of an analog classic into a package that's pure hands-on fun. If you're a beginner, you're looking at one of the easiest to use and most unique sounding synthesizers we think money can buy. And if you're a synth veteran, we think it won't have escaped your attention that MicroBrute is also a seriously capable semi-modular sequence-able beast. Wait till you hear how it sounds. Rip woofers from their housings with bass. Spend years coaxing different pads, leads, effects, wave-folded growls, vintage tones, modern tones, punchy drum kits and glittering sequences. Process audio. Sequence analog gear. Give your modular an LFO and Envelope Generator. Hook up to your DAW and make whole tracks. Hook up to your Drumtracks, open your door, and play a whole gig. Tiny in size, tiny in price, huge in sound, and vast in potential. We've had so much fun with MicroBrute: Now it's your turn. The voice path on MicroBrute is 100% analog. This makes for superior sound quality and warmth. The MicroBrute will inspire your tracks. The purity of signal allows it to sit in the mix well. The oscillator is the heart of the MicroBrute and it does not disappoint. It features 3 waveforms that are mixable. This allows you to shape the sound in limitless ways not found on any other synths. Along with the SAW, TRIANGLE and SQUARE waves, MicroBrute features waveshapers which modify and animate the sound, to create an even wider palette of sonic possibilities. The Overtone Oscillator will generate additional harmonic content, ranging from one octave down to a fifth above the base Oscillator pitch. The Sub-5th control will allow you to continuously sweep spectrum. Never has a single oscillator synth sounded so big. The Steiner-Parker filter helps to give the MicroBrute its unique sound. This filter design was first used on the classic Synthacon synthesizer in the 1970's. With Low pass, Band pass and High pass modes, you will not find more filter personalities from any other synth in this price even in many synths at 3 or 4 times this price. Our step sequencer is a source of endless inspiration. You can step input notes and rests creating rhythmic patterns that you can playback and switch between. Transpose your sequences up and down using the keyboard and you will have a composing tool that will open up fresh ideas. Same Day Music is an authorized dealer of Arturia products. -- Bi-polar Envelope amount control. -- Ultrasaw for creating dance anthem sounds. -- Pulse width for creating thin nasal sounds or rich square tones. -- additional harmonics, from 1 octave down to 5th up. - Wide range LFO with 3 waveforms. - Mod Matrix standard 1 Volt per octave. -- Pulse width mod In. -- Tap Tempo button/Rest input in record mode. -- PLAY and RECORD modes. Available until 11 PM (EST) today. Mention special code 200-2SJ2 when you call.